The Bulldogs were one play away from a national championship last year. 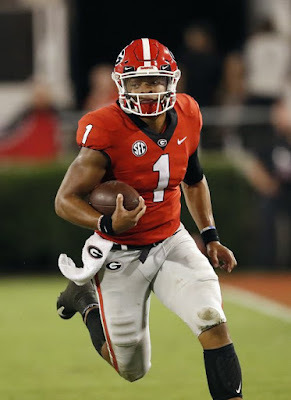 Now this Bulldogs team returns their star quarterback Aaron Murray and a strong stable of backs, hoping they can get over the hump this year. 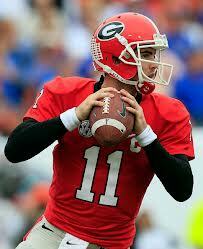 Backfield: Aaron Murray returns for his senior season after a terrific junior year. He has the smarts to dominate opposing defenses and has the arm to beat secondaries. Though over his career with the Bulldogs he hasn't had enough targets to fulfil his huge ceiling. If he can find a reliable receiver to throw to consistently a Heisman is on the horizon. Luckily for Murray he has a ton of quality backs to take the pressure off him and the passing game. Sophomore back Todd Gurley returns after a great first year with the team. After filling in for the dismissed Isiah Crowell, Gurley turned into a monster not refusing to go down and running over tackles. Keith Marshall is sure to get some carries after backing up Gurley last year. 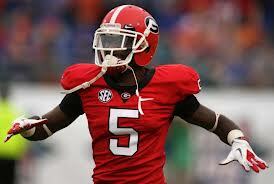 Receivers: Although the 'Dawgs don't have any proven star receivers they have a load of talented wide outs. Junior Malcolm Mitchell, who can also play defensive back has emerged as a quality option for Murray. Mitchell has burning speed but is a little raw in some areas. Senior Rantavious Wooten should also have a big year. He is a little bit small, just 5-10, but he can squeeze into openings and move the chains. Junior Michael Bennett missed most of the 2012 season with a torn ACL but when he is healthy he is very dangerous. He can line up at receiver or tight end and has great hands. Senior Arthur Lynch uses big frame to line up as a blocker and is tough to tackle when he is a receiver. Offensive Line: Murray should have a ton of time to pass the ball with this fantastic offensive line protecting him. Senior Kenarious Gates isn't intimidated by big SEC pass rushers after years of going up against them. On the opposite side sophomore John Theus should improve with a year under his belt. He struggled at times last season but if he uses his 6-6 body to his advantage he can dominate. The Bulldogs ground game is helped by two senior guards in Chris Burnette and Dallas Lee. Both former Georgia high school products they should be the leaders of this line. Defensive Line: The loss of end Cornelius Washington and huge nose tackle John Jenkins leave a massive hole on what was a solid defensive line in 2012. Junior Ray Drew will be pressured to be one of this team's elite pass rushers. He has the speed from the edge to pressure opponents but he is very unproven. Another end, senior Garrison Smith also has some big shoes to fill. He is also quick to get to backs but he can struggle to be a factor at times. If both meet their potential it doesn't appear Mark Richt and Georgia will miss their graduated D-Linemen. Linebackers: Gone are Jarvis Jones and Alec Ogletree, who both look like they will be solid pros. But this linebacker group is still very strong and should lead a rebuilding defense. Outside linebacker Jordan Jenkins has the biggest potential on this defense. He has the talent to replace Jones as the team's best pass rushers coming in from the perimeter where Jones dominated. If he can figure out offenses blocking schemes he could have a fantastic sophomore season. Inside 'backer junior Amarlo Herrara has the agility and vision to run and tackle opponents all over the field. Senior Chase Vasser should also be an important linebacker. Although he is a senior Vasser hasn't had the oppurtunity to prove himself on the field. It will be interesting to see if he can contribute with more snaps in '13. Secondary: This is the biggest weakness on this Georgia team. 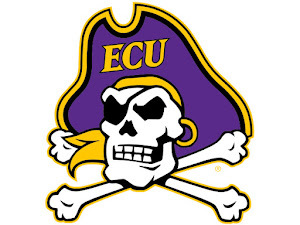 Bacarri Rambo, Shawn Williams and Sanders Commings are all gone. The only returning starter is junior Damian Swann. He is great at coverage and a sure tackler and with his playing time could be the leader of this weak unit. Sophomore Sheldon Dawson is looking very improved in the spring but still has some holes in his game. Freshman Tray Matthews has the instincts to be an impact safety at the college level. He has a nose for the ball and can rack up a lot of tackles. Malcolm Mitchell is probably a better receiver but when needed he should be an important piece to the puzzle of this secondary. Georgia returns one of the nation's best quarterbacks and a great offensive line. If this defense can hold up, with their schedule the Bulldogs could rise up to their second straight SEC championship.